Kids? – No young kids. Calm, older children 12+ who will understand to be very gentle with her may be ok. Introducing the new and improved Dottie!! 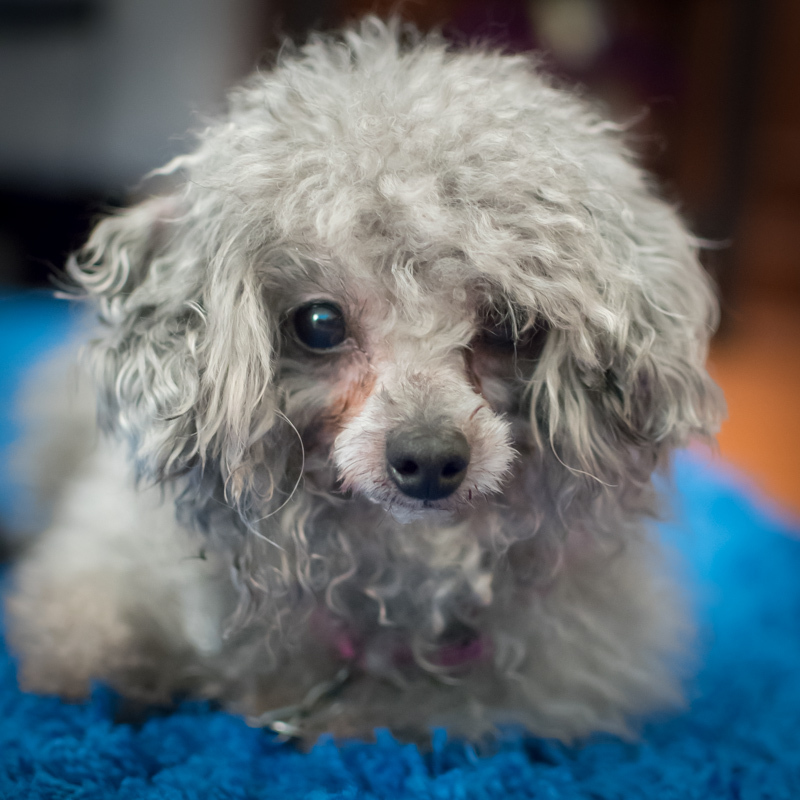 This small lady was surrendered to the shelter when her owner could no longer care for her, she came in with pretty bad gum disease and a heck of a mop on her head. She has since had dental surgery to remove her bad teeth (she still has a couple good ones left) and received a much needed haircut. 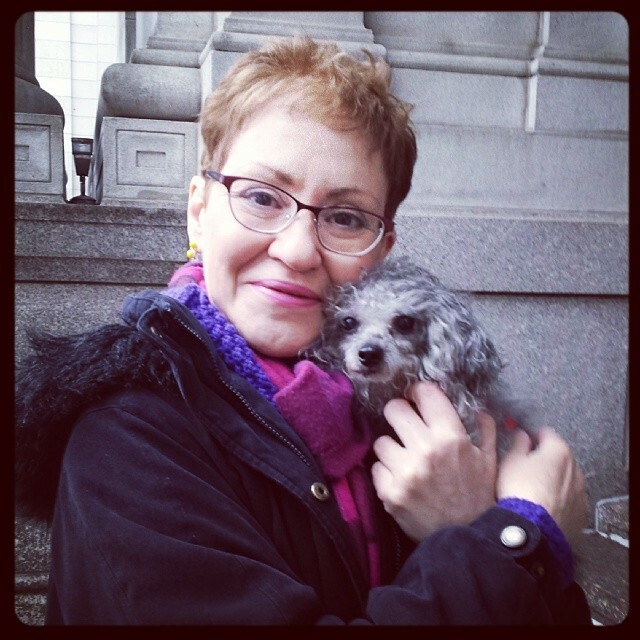 Dottie is feeling oh so much better and ready to find her forever home! She is a very loyal companion who will want to be by your side whenever possible and since she’s a curious gal, she has a natural instinct to check up on her humans to see what they are up to. She expresses her affection with gentle nose nudges, tiny kisses and happy dances. She has one of the sweetest dispositions on the planet and it doesn’t take long to fall in love once you meet her. It seems leash walking is a totally new concept to Dottie, but she is catching on quickly and LOVES LOVES LOVES her daily outings. She gets so excited and bouncy when she knows she’s about to venture out! Dottie may have a few years under her belt but she is still very playful and loves a good game of fetch. She’s also very content to collect her toys from around the house and keep herself occupied by nibbling on them. 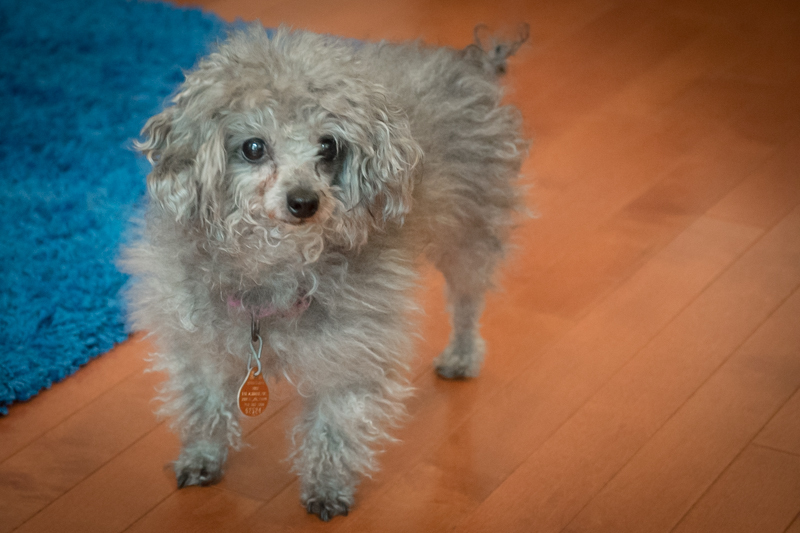 Miss Dottie gets along well with other small dogs and would enjoy a canine sibling in her new home, but would also make an amazing solo companion as well. Because she is such a small gal and can easily become overwhelmed, she should not be in a home with very young children. This sweet, lovely lady is looking for that special someone who will be as devoted to her and she will be to them!